Excellent location. Recently refreshed paint, windows. This 4 bedroom 2.5 bath plus office home is a delight. Located on a large corner lot in the tranquil community of Bluewater Bay. 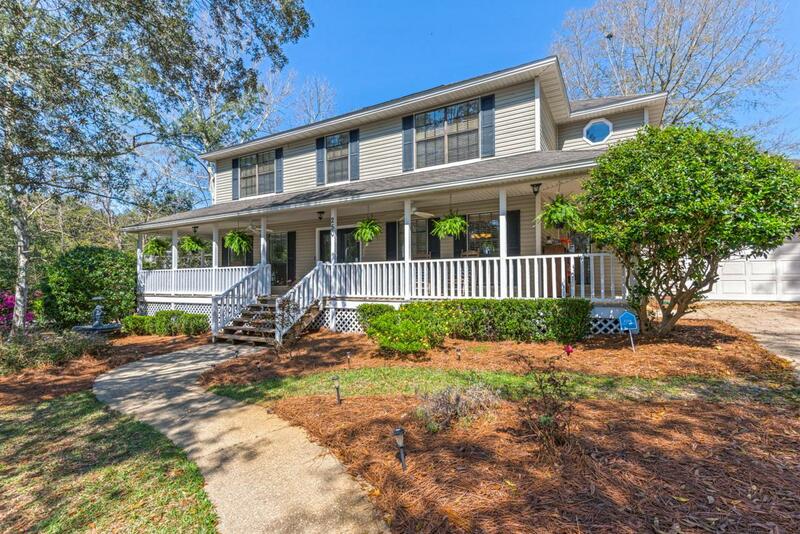 This home welcomes with a large wrap around front porch perfect for relaxing with a glass of wine/beverage of choice. Enter through the double doors into the foyer that leads to an inviting great room with gorgeous wood burning fireplace. Spacious kitchen with breakfast nook and 1/2 bathroom. Enclosed sunroom is perfect spot to read a book or walk outside through the French door onto the wood plank deck. All 4 bedrooms are generous in size with closets and ceiling fans located on the second floor. The exterior features include 6-ft privacy fenced around the backyard, two-car garage and specially constructedattached workshop. (must see the appreciate) This home is just a short commute to Eglin AFB, Duke Field, Destin and the world's most beautiful beaches. Buyer to verify all data and dimensions. Property being sold as-is. Seller did have pre-inspection. Schedule your showing today! Recent new paint inside. New Carpet, Termite Bond with Premier Pest. Centricon system.